What if we could bring together every link of the livestock production chain? That’s exactly what the Livestock and Forage Centre of Excellence (LFCE) will allow us to do. This unique complex of field laboratories will model all aspects of raising livestock on the Canadian Prairies. The centre also includes science labs that connect discovery with translational and applied research. The LFCE will encompass everything from forage development, grazing management and environmental sustainability to cattle reproduction, cow-calf management and feedlot health, growth and productivity. There is nothing quite like the LFCE anywhere else in the world. Building on a strong network of partnerships, the centre will improve livestock production across Canada and around the globe. The Livestock and Forage Centre of Excellence (LFCE) brings together all aspects of beef cattle research into one entity, providing researchers, faculty, students, industry and producers with a broad-based platform for research, teaching and extension activities. The LFCE promotes new research links and synergies across the commercial supply chain. The centre will be a leader in developing research, teaching and technology transfer programs that provide the livestock and forage industries of Saskatchewan and Canada with new tools and techniques for healthy, sustainable and competitive growth. Our vision is to develop a Livestock and Forage Centre of Excellence (LFCE) as a collaborative initiative, integrating livestock and forage research and development of resources for efficient and effective facilitation of internationally-recognized education, research and extension. The LFCE will be a global leader in innovation, promoting increased profitability and sustainability for the livestock and forage industries. 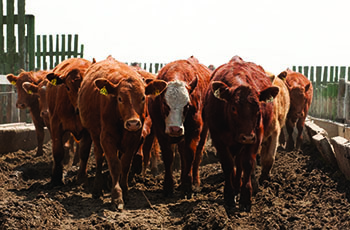 Consumers have questions about how western Canadian livestock producers raise animals. Through the LFCE, researchers will investigate different aspects of livestock production and “test drive” new options that will help to enhance animal welfare, animal health, product quality and food safety on Canada’s farms. As input costs increase, livestock producers must adopt the most efficient methods of managing their herds. But what methods make the most sense when you consider economics as well as other factors? Because the LFCE reflects every stage of the cattle production chain, scientists can analyze the pros and cons of adopting a single cost-saving measure — or a combination of several tactics — in a real-world setting. The LFCE provides U of S environmental researchers with a unique opportunity — the chance to study the impact of intensive livestock operations on a “green field” site over five years of development and production. Nothing like this has been done in Canada, and based on their results, the research team will develop “best practices” — identifying what makes the best site for a feedlot and what modifications are necessary to minimize the impact on soil and water resources. 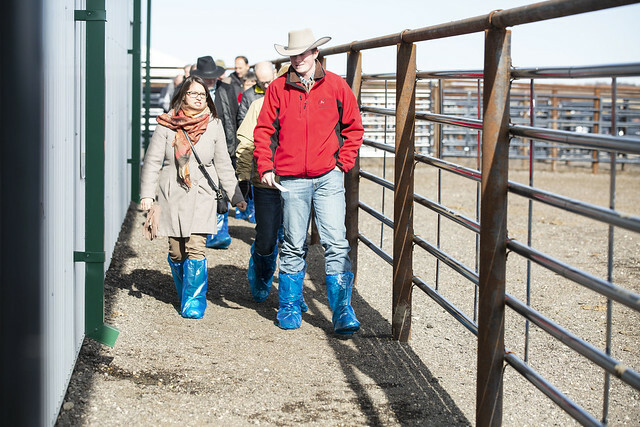 Students will have access to the newest technologies, advanced handling facilities and a large number of animals — cow-calf pairs and feeder cattle — all located close to Saskatoon. 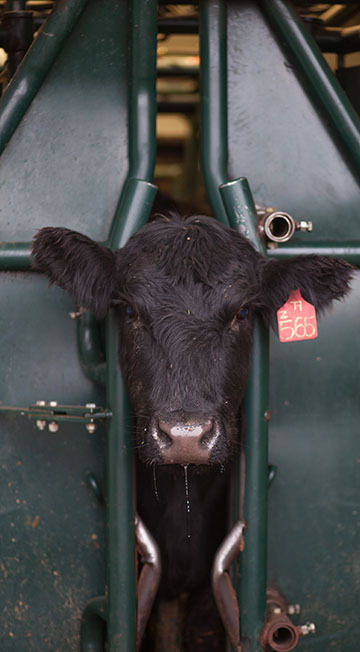 The centre will also include overnight accommodations so students can participate in calving. By bringing scientists and producers together, the LFCE allows the research community to be more responsive to the needs of the livestock and forage sectors. Another positive outcome will be more research collaborations involving scientists from around the world. The centre will connect agricultural, environment and veterinary researchers with producers and industry. Students, researchers, clients, producers and trainees will benefit from the hands-on demonstration and training facilities in the LFCE. Representatives from the University of Saskatchewan, the Saskatchewan Government, and the Saskatchewan and Canadian forage and livestock sectors have worked together to develop the LFCE. All of our partners are represented on the LFCE Steering Committee and the LFCE Strategic Advisory Board. 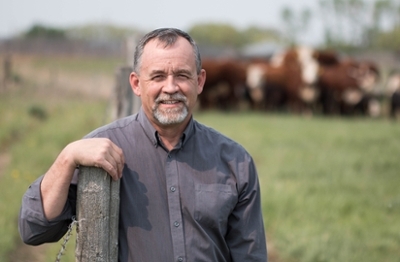 The Livestock and Forage Steering Committee, a group of diverse individuals representing industry, government and university, was struck by Lyle Stewart, Saskatchewan's former Minister of Agriculture, in 2014. This group met 30 times over a four-year period with the last time being a joint meeting with the Strategic Advisory Board on July 10, 2018. The committee’s purpose was to provide insight into the vision and governance structure for the Livestock and Forage Centre of Excellence (LFCE) as well as to promote the centre and raise funds for the capital build. The committee was dissolved by Minister Stewart in August 2018. For some of the members their work is not done; three of the individuals are now members of the Strategic Advisory Board. We thank all of the individuals listed below for their efforts in laying a firm foundation for the LFCE. 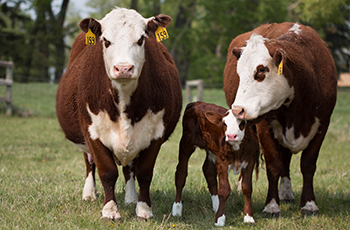 For years, U of S scientists in agriculture, veterinary medicine and engineering have collaborated with researchers at the Western Beef Development Centre and Agriculture and Agri-Food Canada. Their work has led to the development of many valuable tools for livestock producers. The LFCE builds on Saskatchewan’s rich pedigree of research and teaching in livestock and forage production. This unique centre will allow these researchers to go further in their discoveries by providing them with new facilities and technologies, larger herds and additional acres of forage and grazing land— all near Saskatoon. Pooling all of this research power will not only benefit livestock producers and the agriculture industry. Undergraduate and graduate students will gain valuable, hands-on experience and opportunities to participate in cutting-edge research investigations. In addition, the LFCE will attract world leaders in beef and forage research to collaborate on a wide range of projects. Their expertise and experience will help us to find new ways to improve the global food chain. The centre will also offer interactive outreach programs — field days, demonstrations, industry presentations and seminars — to help introduce new techniques and technologies to producers. The LFCE will be a centre for public awareness, helping to bridge the communications gap between the agriculture industry and consumers. We have an exciting day planned, starting with coffee and a tradeshow at 9:30, at our teaching and research units located south of Clavet. The morning program will begin at 10 and we will be wrapped up between 4:30 and 5. Please register for your free ticket at EventBrite. The Livestock and Forage Centre of Excellence was established through collaboration between industry, government and university and by the very way the centre is governed and funded, this collaboration will continue. 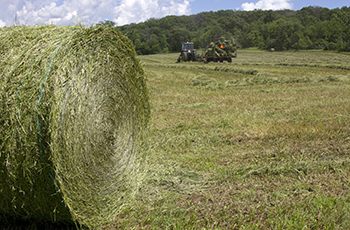 Collaboration and coordination are critical components of vibrant and sustainable livestock and forage industries. 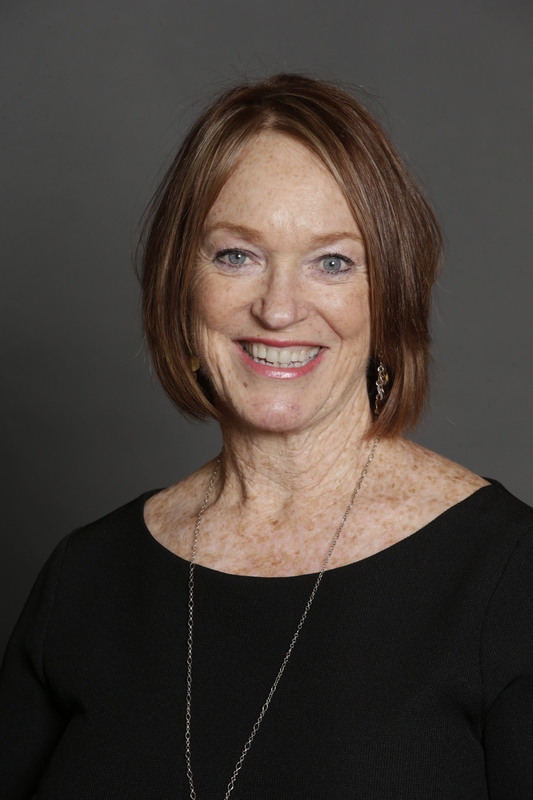 Listen as Anne Wasko draws on her diverse background – rancher, market analyst, funder (via a seat on the ADF decision committee) and advocate (as chair for the Canadian Roundtable for Sustainable Beef) - to share her views and perspectives on the importance of collaboration and coordination in research, extension and general production for the advancement and long-term sustainability and profitability of our livestock and forage industries. University of Saskatchewan faculty and graduate students will present more than a dozen research projects, ranging from environmental monitoring to forage varieties to feeding finishing cattle.